If you have a lost C.E. 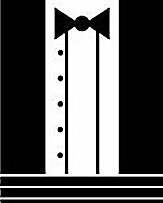 Certificate from Tuxedo Training and need a replacement, you will need to contact us as soon as possible. We make our best efforts to have a copy for you within one working day of your request. This does not apply to weekends. We can email, fax or mail them to you. Ohio will accept faxed copies and West Virginia will not. We will need the date that you took the course, the name of the course and your license number.